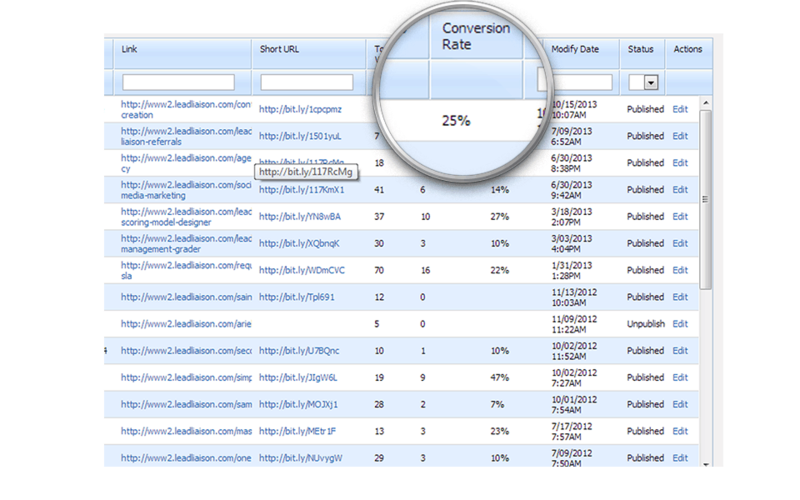 Lead Liaison’s analytics help B2B marketers measure return on investment of landing pages, web forms and social media. Sales is able to better understand their prospect base by segmenting website visitors by industry and revenue. Survey’s enable marketers to collect valuable feedback on product or market direction. Have you ever thought Google Analytics is overkill or felt like it’s too difficult to use? 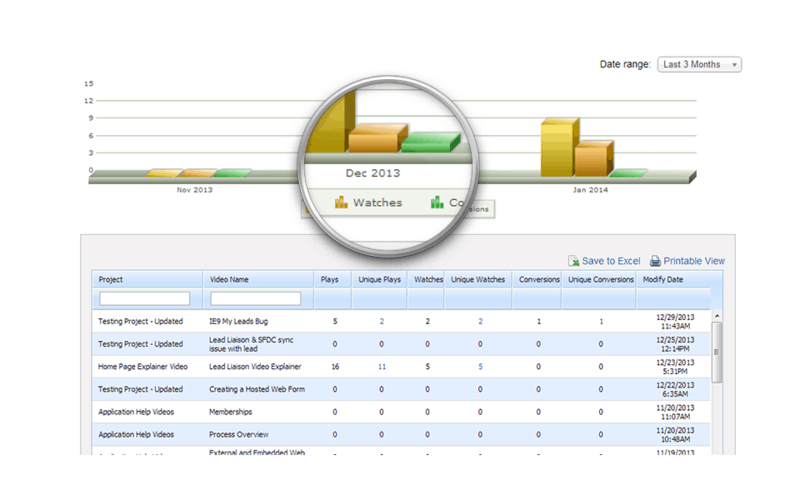 If you have – heck, even if you haven’t, you’ll love Lead Liaison’s key web trends reports. 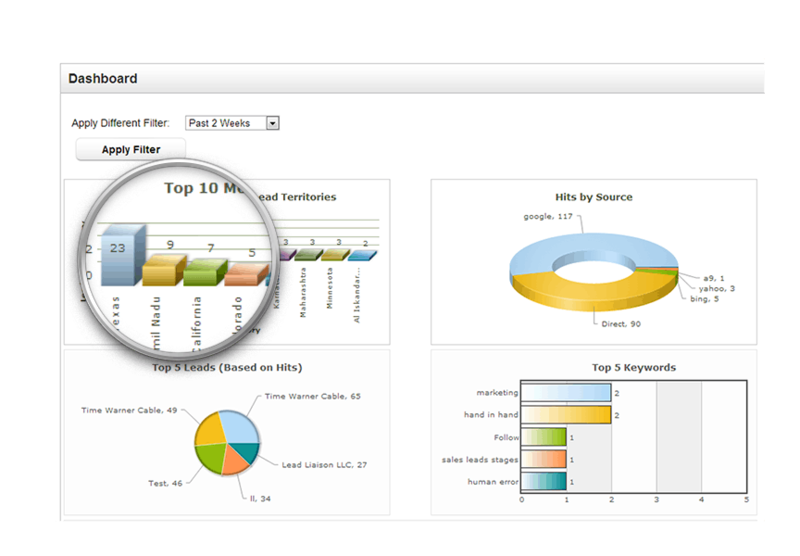 Easily view top pages viewed, top companies visiting your site, top territories, top keywords, which social networks are attracting the most number of visitors, website traffic by industry and revenue and much more. Lead Liaison helps you understand which web forms perform the best. 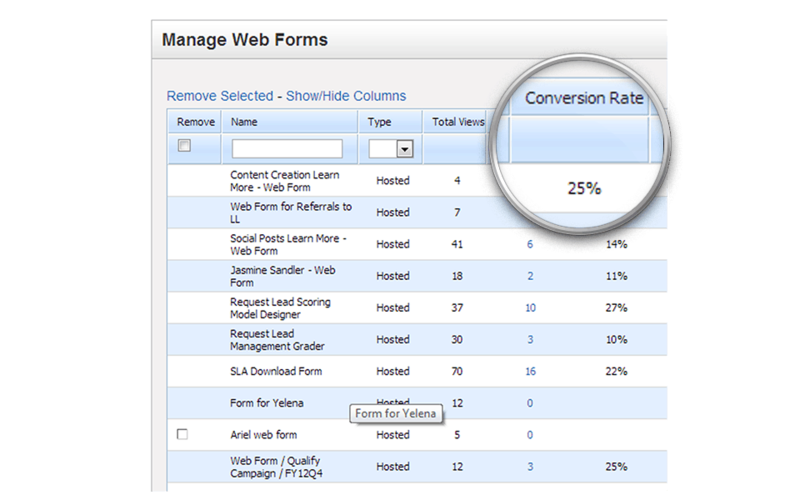 We’ll track when web forms are converted and calculate conversion percentage for you. Understand which web forms get the most views and submissions. We’ll also track which Prospects submit your forms. Have a web form in front of your trial requests and want to pull which Prospects submitted the form? In a few clicks we can get you answers. Video marketing is becoming increasingly popular. However, creating videos is not cheap. We help you track your best performing videos so you know where to direct your invest or which videos to re-use in your marketing activities. We’ll track plays, watches, conversions as well as track which Prospects clicked your video or converted from your video. With Lead Liaison’s Landing Page Designer it’s easy to create beautiful looking landing pages within minutes. Multiple landing pages tailored to your marketing pitch is a good idea. However, if you don’t have a grip on which landing pages are performing best it may not matter. Lead Liaison helps you understand which landing pages are converting the most visitors and which landing pages were viewed the most. Need a list of all Prospects that converted from your landing page? Cool, we got that! Lead Liaison tracks a number of email marketing statistics including email opens. 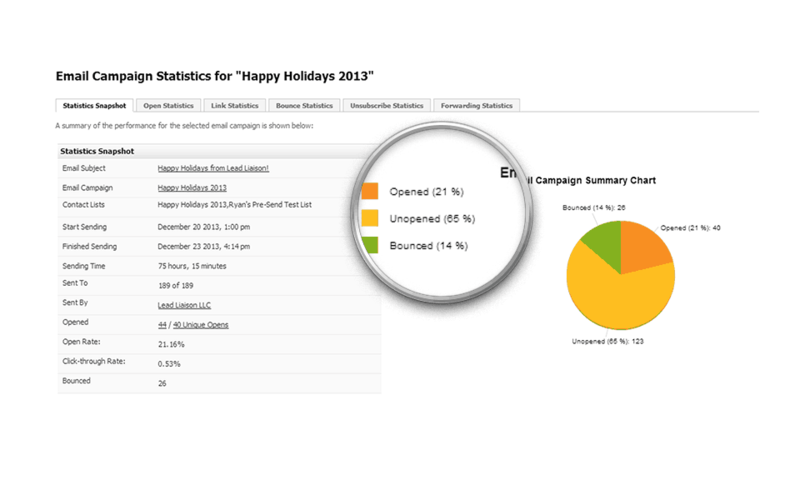 Send out your email campaigns then dive into our reporting to see a list of who opened your email campaign. When Prospects open your emails their activity, including the “Email Opened” activity, will be recorded in the Prospect’s profile. 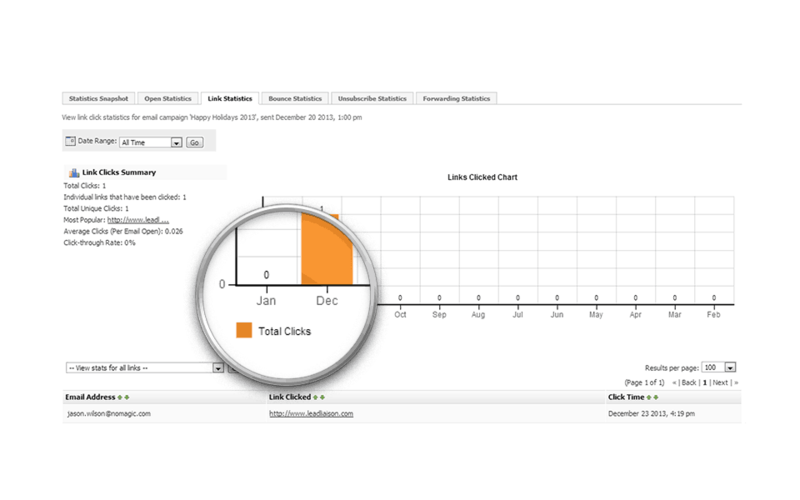 Most Email Service Providers (ESPs) will track click-throughs – and they stop there. With Lead Liaison, we track the Prospects entire lifecycle experience on your website. From the time the Prospect is Anonymous to the time they click a link in your email campaign and convert we capture their entire behavior. After they click your email we’ll keep track of the pages they view, which provides sales with amazing intelligence to close the deal. 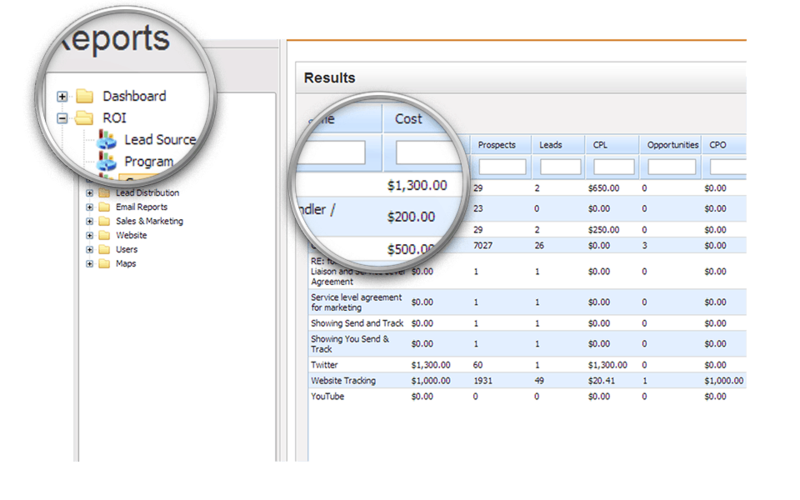 With Lead Liaison’s deep integration with CRM systems we’re able to collect revenue information from a sale. We associate the revenue with Prospects attached to the deal and are able to calculate true ROI. Using the Prospect’s First Touch Program, Campaign and Lead Source we’re able to give marketers the data they need to continue to invest in their marketing campaigns and prove to management they’re revenue contributors. Pull out a seat at the revenue table – marketing is here. Lead Liaison calculates return on investment for all your marketing campaigns. 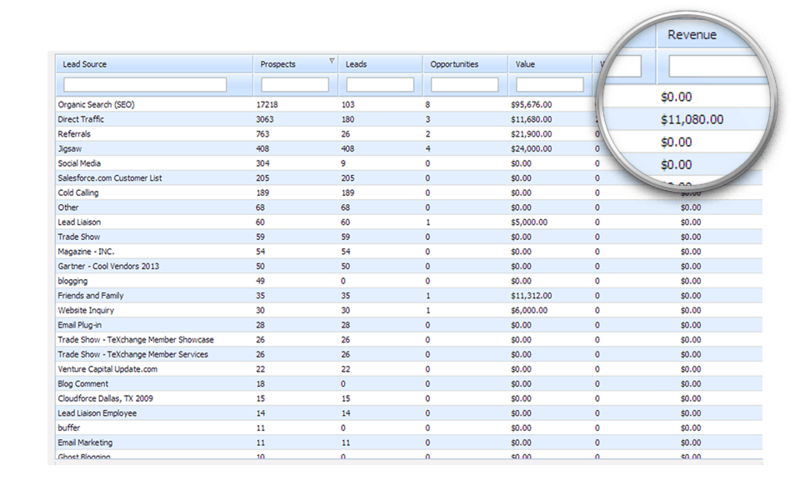 We’ll automatically track Lead Source for you so you don’t have to. Most leads entered into a system require the rep to enter the Lead Source. Most reps don’t take this seriously. We automate the process and remove error by automatically tracking lead source such as Pay Per Click, SEO/Organic, Email Marketing, Nurturing and more. When you launch social campaigns using Lead Liaison we’ll provide insight on how your Prospects engage with your campaigns. 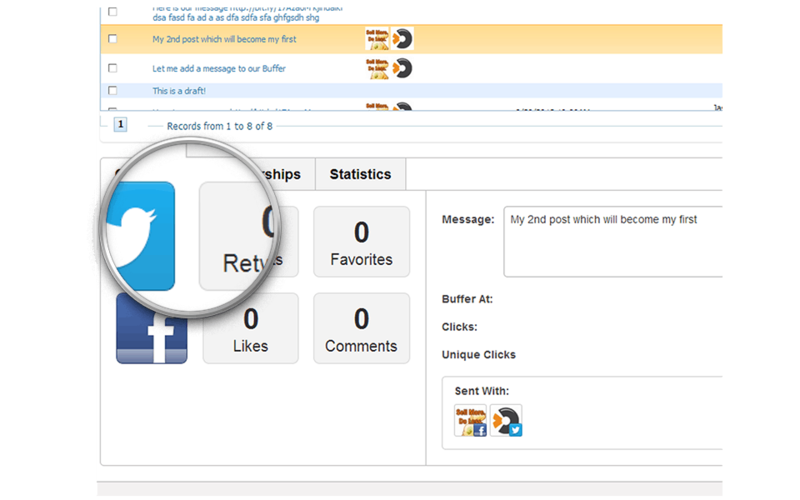 We’ll let you know when your Tweets have been Retweeted, Favorited or when your Facebook Posts receive Likes and Comments. Different from solutions like HootSuite, we’ll score engagement in social media and track which Prospects click through your social campaigns to provide a boost of intelligence for sales. Why pay for solutions like SurveyMonkey when you can use Surveys natively within your marketing software suite, Lead Liaison. Create feedback forms, questionnaires and more. Embed your surveys into your email campaigns. 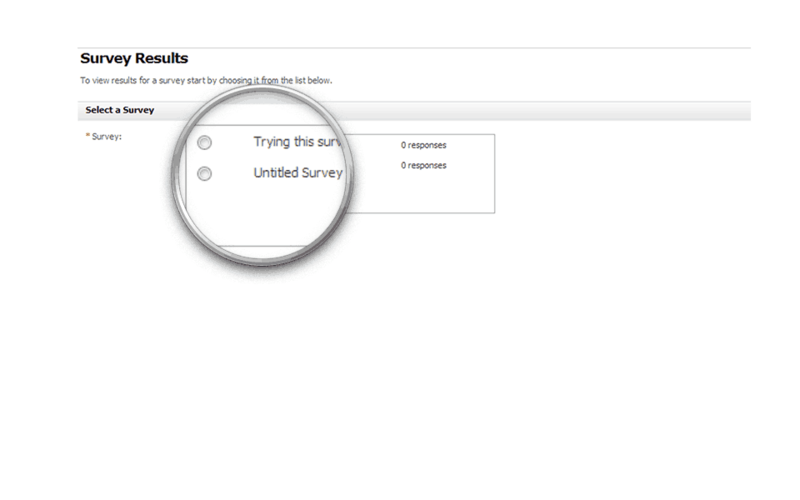 When surveys are submitted easily view and export results.